General Industry, one of our largest market, comprises the following sectors . Interior lighting:such as office lighting,batons and boxes,home lamps. Exterior lighting:such as street and stadium lighting. Energy:such as transformers,electrical enclosures,solar thermal,wind power systems. Packaging:such as gas cylinders,fire extinguishers,chemical drums and glass. Healthcare:such as beds,wheel chairs and equipment used in the healthcare industry. Public transportation:such as tramways,metros,high speed,intercity,local train systems. Other:such as lawn and garden equipment,tools,signage,exhibition equipment, door handles locks. 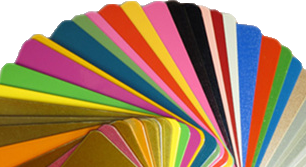 Jinhu Color Powder Coating Co.Ltd design its powder system to suit the performance of general industrial, from which you will find a suitable coating solutions for your products.